It's no secret that in today's complex world, students face unparalleled demands as they prepare for college, careers, and active citizenship. However, those demands won't be met without a fundamental shift from traditional, teacher-centered instruction toward innovative, student-centered teaching and learning. For schools ready to make such a shift, project-based learning (PBL) offers a proven framework to help students be better equipped to tackle future challenges. Project Based Teachers encourage active questioning, curiosity, and peer learning; create learning environments in which every student has a voice; and have a mastery of content but are also comfortable responding to students' questions by saying, "I don't know. Let's find out together." For each practice, the authors present a wide range of practical strategies and include teachers' reflections about and suggestions from their classroom experiences. 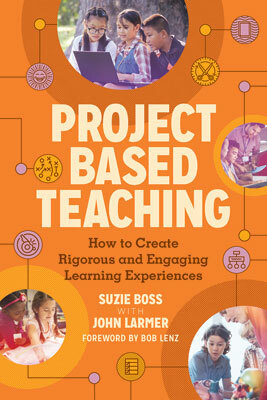 This book and a related series of free videos provide a detailed look at what's happening in PBL classrooms from the perspective of the Project Based Teacher. Let's find out together. This book is a co-publication of ASCD and Buck Institute for Education. Premium, Select, and Institutional Plus members get the print book. Premium Online and Select Online members get the e-book. Log in to read full chapters. Suzie Boss is a member of the Buck Institute for Education's National Faculty. She is a writer and educational consultant who focuses on the power of teaching and learning to improve lives and transform communities. She is the author or coauthor of several books on education and innovation. John Larmer is editor in chief at the Buck Institute for Education. He authored and/or edited BIE's project based curriculum units for high school government and economics and was a contributing author of the Project Based Learning Handbook. He codevelops professional development workshops and materials for teachers, including 21st century skills rubrics and project exemplars. The Buck Institute for Education (BIE) is a mission-driven not-for-profit 501(c)3 organization based in Novato, California, and is beneficiary of the Leonard and Beryl Buck Trust. Since 1998, BIE has focused its work exclusively on Project Based Learning and is considered the world's leading provider of PBL resources and professional development. Its publications have been translated into nine languages. Across the United States and around the world, BIE provides PBL workshops and coaching to well over 10,000 K–12 teachers per year and provides systemic long-term support to partner schools and districts. BIE also hosts annual PBL World conferences and offers online resources at www.bie.org and online courses at PBLU.org.